Having been in Osaka for two weeks now, I'm starting to miss oldness. In particular, old buildings. Beautiful old buildings. Osaka is ostensibly an old city - it was founded in the fifth century and was the capital for a while from 645AD. It has a fine castle and some lovely temples. But other than that, you get the impression the whole place was built in the last 80 years. As I've wandered around the suburb where Saho lives, for example, there are lovely temples, plus the odd traditional wooden house - with its characteristic storm shutters (amado), sliding translucent paper panelled walls (shoji), and shut in outer corridor wrapping around the house. 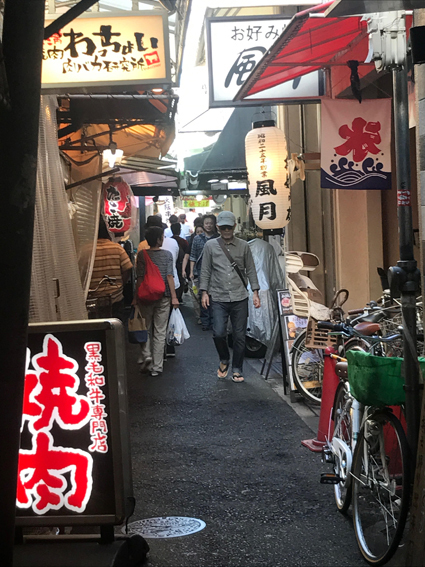 And in the city centre there are areas where the little alleyways remain, with small restaurants and shops, some in old-style buildings, squeezed alongside newer structures. But mostly it's just modern. Ugly modern. One problem is that traditional Japanese construction materials - wood, paper, rice, straw and clay - work against longevity. Family homes were historically viewed as temporary and were rebuilt every 20 years or so. In addition, fire destroyed whole neighbourhoods on a regular basis. And WWII American firebombs wiped out a third of Osaka. But surely there must have been one old residential area that was saved, or could have been reconstructed using traditional Japanese building styles (with maybe a few non-obtrusive fire retardant features)? A place where locals and tourists could wander around and see what the city used to be like. As a spoilt tourist, I want Ponsonby or Hampstead, Paris's Quartier Latin, or central Hanoi. 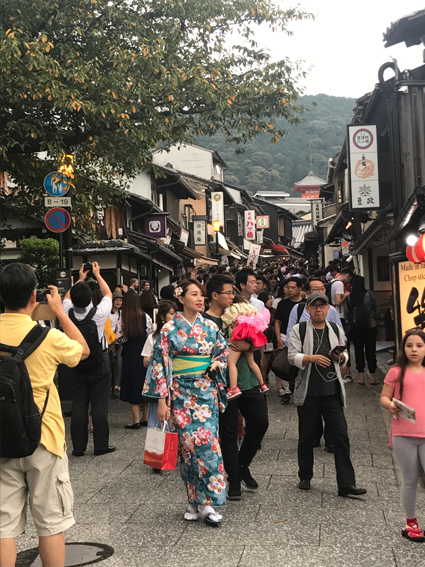 Kyoto, a long-time capital of Japan, has one such area up by the Kiyomizu-dera temple, and it's insanely popular as a tourist attraction. 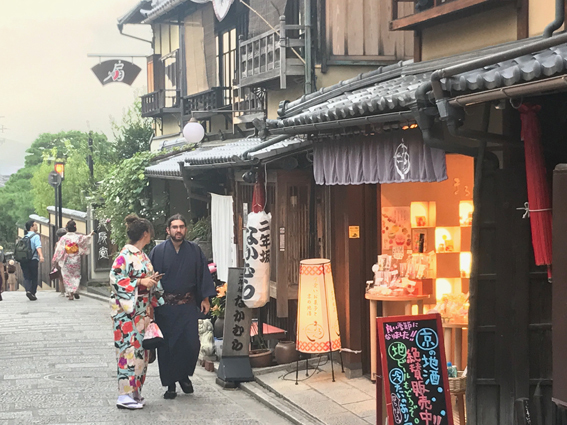 People dress up in kimonos and yukata and clomp around the paved streets in those uncomfortable-looking wooden-soled sandals the Japanese used to wear. But even Kyoto, which was spared the American bombs, is mostly another ugly city, a hotchpotch of high- and low-rise blocks and mostly European-style houses. If you want to look at old Osaka, you basically need to look at models and reconstructions in the (excellent) Museum of Housing and Living, and the Museum of History, both of which (somewhat ironically) are found high up in central city skyscrapers. Albeit, in the case of the history museum at least, a beautiful skyscraper. - Having three different ways of writing. As a way of making it virtually impossible for foreigners to get good at Japanese, it's a master stroke. For anything else it's just bloody-mindedness. Why on earth do you need to use a separate set of characters (katakana) for foreign words? It's like us suddenly choosing the Cyrillic alphabet to write "croissant" (круассан) because it's not originally an English word. 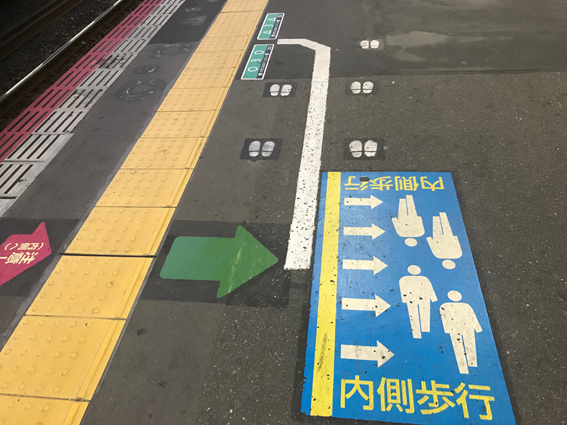 Meanwhile, why doesn't the Japanese government just make up its mind whether to use the Japanese alphabet (hiragana) or Chinese characters (kanji)? Look at the back of your bog-standard cereal box and you'll see a crazy mix of all three writing styles in the same paragraph. It must be very hard for Japanese kids learning to read and write. Japan, make a choice. - Dogs in backpacks. Surely not necessary. Though I would love to know if there's anything inside that little pooch pouch. 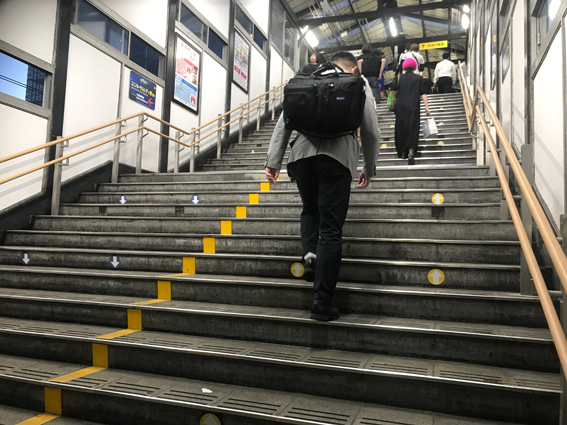 - Telling you where to stand on a station platform, and which direction to walk up the stairs from the platform. Chaos is liberating. - School children in uniforms that are identical, including their shoes, socks and satchels. Kids in school uniforms on Sunday. Bowler hats and sailor suits as part of the uniform. Over the top on a five-year-old. Excessive bowing and thanking. At the Museum of History you are bowed into the building, thanked for your visit and shown to the end of the queue for tickets. As you leave, the security guard bows low and again thanks you. In the local convenience store the cashiers - yes all of them - bow and thank you for frequenting their establishment. It's kind of respectful, but kind of "too much already." I only bought a pint of milk. People that dump their cats in the Osaka Castle park. As this sign so succinctly puts it, don't do it guys!